This is my favorite century route but it is a bit windy on the way home. From 1973 to 1975 I was in language school in Monterey which is why I like to visit from time to time. Photos from the last few times I led this ride are here, here, here, here, and here. I’ve biked to Monterey from Santa Cruz with friends over the years and I’ve led a ride down there several times for the ACTC bike club. The ride is primarily an out-and-back so it’s easy to cut the ride short at various points and head back to Santa Cruz but my main objective is to see Monterey again and enjoy some clam chowder on the wharf. The next ACTC ride that’s heading down there is being led by Jon Kaplan on Monday, January 2, 2017. The crew rolls at 8:00AM from Natural Bridges State Park at the intersection of Natural Bridges Dr and Delaware Ave in Santa Cruz. 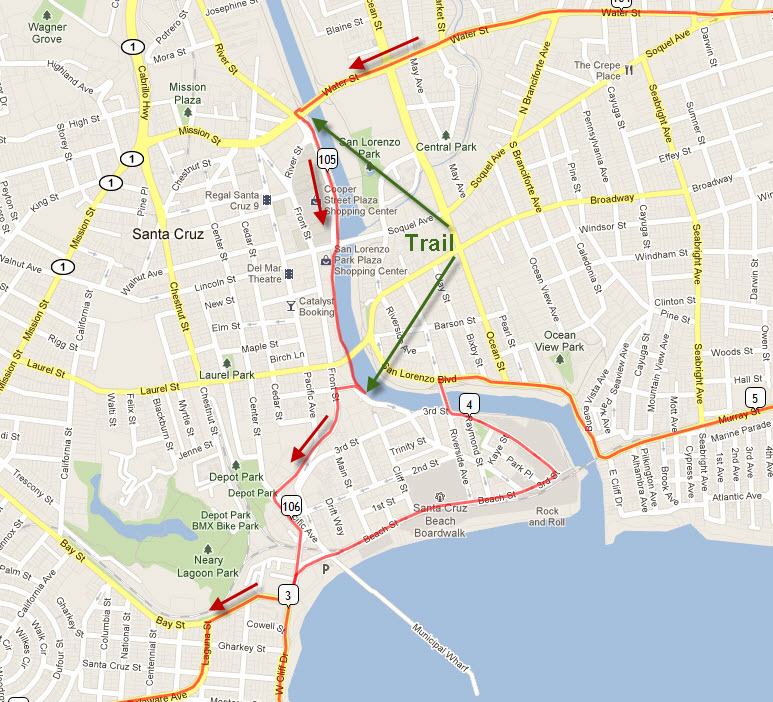 The map below is of the complicated section near the end of the ride. 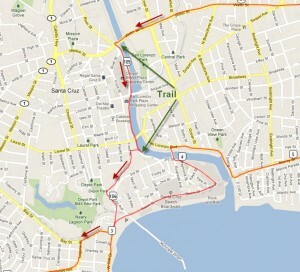 The goal is to get over to the Santa Cruz Wharf or The Dream Inn then head back up to Natural Bridges.